Three men have been charged with animal cruelty after a video of them dragging a shark behind a boat sparked outrage and led investigators to scour their social media accounts for evidence. The video was accompanied by a highly graphic photograph showing what appears to be the same shark torn to shreds. 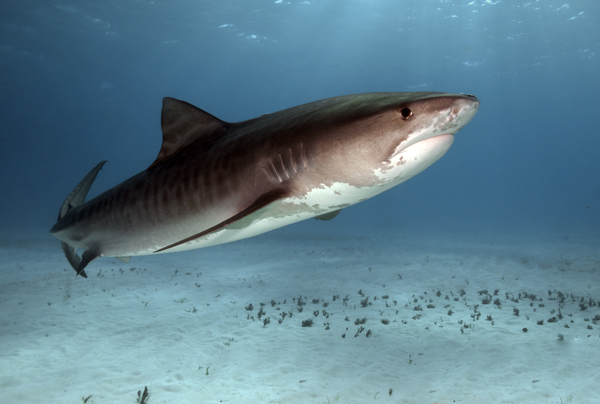 As the video spread through social media during the summer, it generated disgust amongst users, including shark fishermen, and was referred to the Florida Wildlife Commission (FWC) by a celebrity shark fisherman. After four months of investigation, the WFC announced on Dec. 12, that 3 individuals have been charged. The WFC said it had carried out “exhaustive research” into the suspects’ social media activity, done numerous interviews and consulted with many shark experts. The suspects are Michael Wenzel, the driver of the boat in the clip, Robert Lee Benac, and Spencer Heintz. They are all charged with two counts of Aggravated Animal Cruelty, a third-degree felony which in theory carries a maximum punishment of 5 years imprisonment, a $10,000 fine, or both, although such a maximum penalty is not expected in this case. Wenzel and Benac are also charged with one misdemeanor count of Illegal Method of Take. Apparently proud of the video clip that was eventually to land them in custody, they shared it online in July. The clip found it’s way to a local Florida celebrity fisherman, Captain Mark “Mark The Shark” Quartiano, as if to show off and seek praise. He believes one of the men on the boat sent it to him. He sent the clip to the WFC in disgust, hoping that the men would be prosecuted. “This is just really sick, one of the most horrific things I have seen in 50 years of professional sport fishing,” Quartiano said at the time, according to WESH. “There’s just no reason for this behavior,” he said.